Although it is often a harder adjustment to adopt more than one child at the same time, siblings are really special, and it is such a blessing any time a sibling group can remain together!! 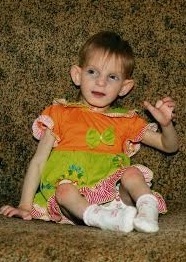 PLEASE HELP US raise grant funds and awareness for these precious, waiting angels. You really can save a life, with even the smallest gift! 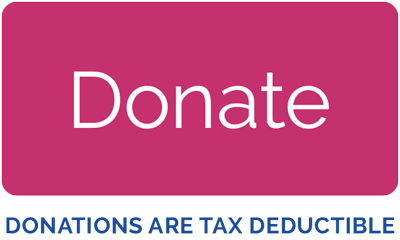 “Your gift will serve ALL of the children, as 10% of each waiting child donation is shared with our Voice of Hope fund as well! 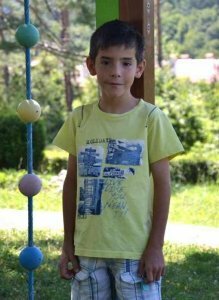 John is a 13-year-old boy who lives in Eastern Europe. He is inquisitive and interested in many subjects. He has difficulty understanding the difference between “wants” and “needs” and relies on his memorization skills when learning. John has difficulty with concentrating and therefore, is academically below his grade level. John is mobile and energetic and enjoys soccer, badminton, riding his bike and skateboarding. Anthony is John’s 12-year-old brother. 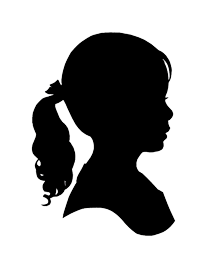 There is data that the child has loss of hearing in one ear while the hearing in the other one is preserved. 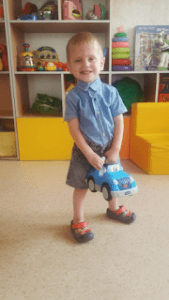 He has difficulties with carrying out constructive-technical activities, speaks simple sentences and often his words are unclear and incorrectly articulated and therefore, is delayed in speech and language development. Older brother has blue eyes and light brown hair. He crawls, he also walks around if being held by both hands. He stands up by sticking to something. The boy makes a longer eye contact with an adult, he plays with toys, responds to his name. His appetite is good, he does not try to eat with a spoon, needs to be fed. Sleeps well, sometimes swings before falling asleep. Sometimes has a tendency to swing and beat his head against the floor. He has been diagnosed with effects of neonatal central nervous system hypoxia in a state of diffuse muscle hypotonic syndrome, psychomotor retardation. OU astigmatism, hypermetropia, OU nystagmus, esotropia. Language development delay. Younger brother has blue eyes and light brown hair. The child crawls, he does not eat independently, needs to be fed. 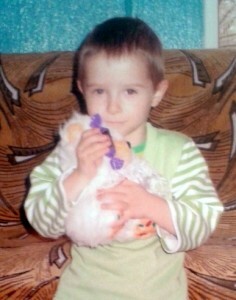 The boy is emotionally labile, often cries, plays alones, likes musical toys. He has been diagnosed with OU Nystagmus horizontal. OU Astigmatism mixtus. OD Esotropia. Psychomotor development delay. Speech development delay. Muscle tone imbalance. $1,075.00 has been donated towards the cost of my adoption! 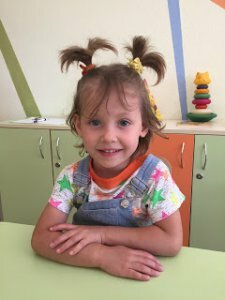 Update from someone who knows them very well: We have known them for over 4 years and visited their orphanage over 20 times. They have autism and are non-verbal and at this time. They were just transferred to an adult institution right after their seventh birthday. The boys are one to one and arms length for bolting and mouthing; both at this time are not toilet trained and are on medication to assist with hyperactivity and self injurious behaviors. Both boys are extraordinarily special to me, however, they must go to a family prepared for all of their needs. They are not deaf. $2,220.70 has been donated towards the cost of my adoption! 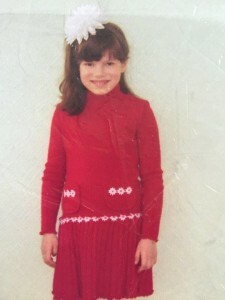 Casey,the younger girl was born in 2008 and has no SNs, just some kind of development delay. 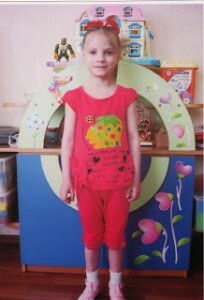 She is smart and active, participate in all orphanage performances. She has now been transferred as well. Both girls need a family asap!!! These 2 siblings are to be adopted together for sure. They have an older brother born in 2004. 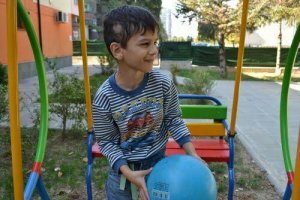 He is in the special school orphanage and has severe mental delays. If a family decides to adopt all 3 children it will be great!!! If they want only two younger siblings they are to be approved for 3 children and to get referral to meet ALL 3 siblings. Then if they decide not to adopt the oldest one we will do the best to “separate” them. I think it is possible, but we cannot guarantee it for sure. They have a younger brother as well, and he has already been adopted. 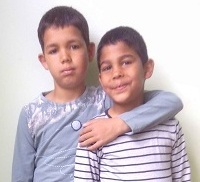 Warner and Walden are two handsome twin boys who are currently living in different foster families. They see each other periodically but do not have a close relationship. 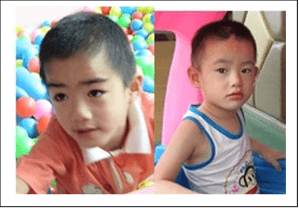 Their reports indicate that they were both born prematurely due to their low weights at the time they were found. Over time, they both increased their food intake and grew in strength. When Warner was nearly 2 years of age, he could walk steadily, follow simple instructions, and speak 3-5 simple words. He could be stubborn at times like many toddlers, like throwing food he didn’t like in the trash when his foster mom wasn’t looking. He’s an active, outgoing kid who likes interacting with others and playing with toys with other children. 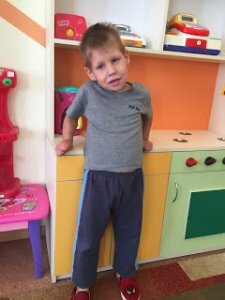 According to an update October 2015, he’s made great progress with his communication and language skills; he can answer questions about his name and age, count to 20, express his wants and needs, knows children’s names, and can even recite poems. He has become more independent and can dress himself, feed himself, and use the bathroom. He feels closest to his foster mom and has a few close friends he likes playing with the most. Even though he can be stubborn at times and has an occasional quarrel with his younger foster sister, he still shows his empathy and kindness by helping with chores around the house and even offering his foster parents a back rub when he knows they’re tired! Walden loves playing with toys, especially ones that make sounds! When he gets a new toy, he likes to shake it first; he’s particularly enthralled by car toys that make engine-like sounds. As an infant, he had some motor development delays; he could crawl and eventually learned to walk, though a bit unsteadily, just before he turned 2 years old. He did not cry often as an infant, and could babble sounds like “ma” and “ah wei”. He would get excited during mealtimes and adorably babble “muma” and scoot closer to anyone holding food. He responds better to familiar people and feels closest to his foster parents, sometimes even putting his arms around them for comfort. When he’s upset, he balls up his fists and his body shakes; his parents help him calm down by holding him and taking him outside. He can recognize his name and although his language skills are limited, he can understand simple instructions. He will sometime engage in repetitive self-soothing behaviors when he feels alone and would benefit from redirection to help him find other ways to comfort himself. An evaluation completed in 2014 suggests a possibility of mild to moderate autism due to his low engagement and minimal communication with others. 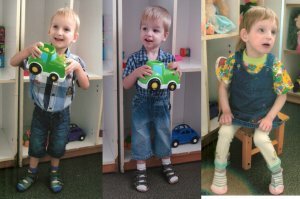 An update from 2015 tells us he has improved his ability to make eye contact, and can still point to express his wants and needs (for example, when he wants to eat or watch his favorite cartoons). 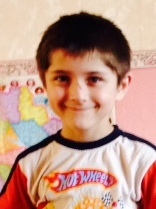 Walden would benefit from a loving, supportive environment and specialized education tailored to his needs. The current agency has a $4000 grant available to assist families that qualify with the cost of this adoption. $5,054.00 has been donated towards the cost of my adoption! Sibling set – Must be kept together! 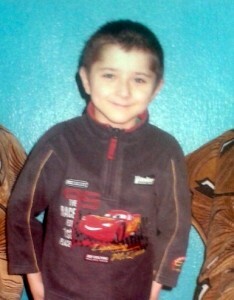 Simeon is a beautiful Roma child with dark hair and big brown eyes. He is significantly delayed, and diagnosed with cerebral palsy. We are trying to get more information on his social history. 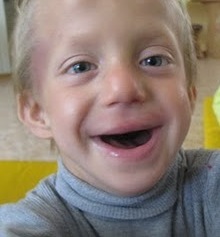 Simeon is a fraternal twin, whose sister has already been adopted. 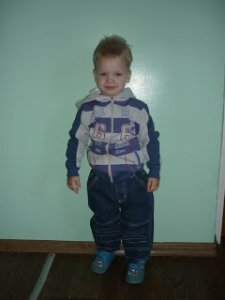 Simeon is described as mostly non-verbal, and is not able to walk on his own. There just seems to be so much potential for him in a family environment. He is already an outcast because of his darker skin and will be left institutionalized – and likely bedridden — if not adopted. 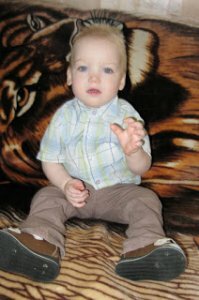 From a family who visited with him in 2011: Simeon is barely responsive to stimuli, but I believe that could change if he received regular, loving attention. I didn’t observe any of the orphanage workers spending much time interacting with him. There were times that I was able to get him to smile and grip my hand. After a few days, he was even able to clap! But most of the time he is staring off in any direction and seems completely unable to control most of his movements. He was always either lying down or propped up in a sitting position. I never heard him speak. I also never heard him cry or fuss. Overall, a very calm child. Married couples only, larger families and older parents welcome. 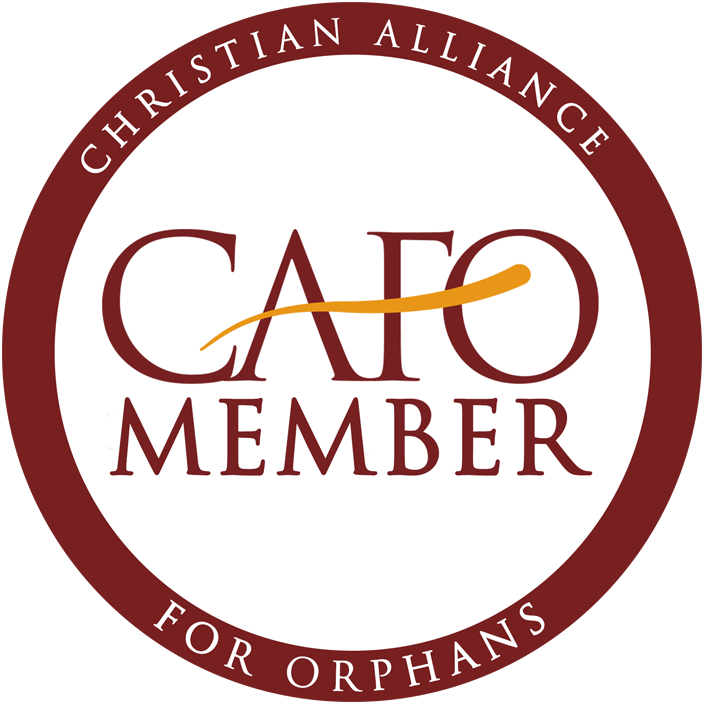 you can be a guardian angel for an orphan with special needs! When they were listed in 2015, Audrey was 8 years old and Anna was 10 years old. They are sisters who express a lot of love and care for one another. They wish to be adopted together, and hope to find a forever family. $2,520.60 has been donated towards the cost of my adoption! *** We are eligible for an Older Child Grant! 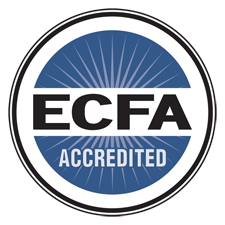 Grant funding is dependent on a completed application and available funds. 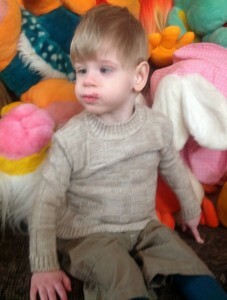 Sam has light blue eyes and light brown hair; Autism with behavioral disorders and speech deficiency on organic background. The boy likes to play with Lego, he is able to concentrate for a long time and to make beautiful buildings from Lego blocks. The boy is able to find activities for himself. He is rather peaceful, prefers to play alone as he finds it difficult to make friends with other children. The boy likes to watch cartoons, to spend time outside, is able to help adults with some chores. The boy attends specialized boarding school, his grades are average. The boy has marked speech, cognitive and emotional disorders, and difficulties to adapt to new surroundings. Relationship with his sister is not very cordial. The boy often has a course of medical treatment and periodically he stays in psycho-neurological hospital. Sue has light blue eyes and light brown hair; mild mental retardation with significant impairment of behavior requiring attention or treatment, Language development delay. The girl likes to play with a doll, to wheel the doll around in a toy pushchair. She likes to be in the center of attention, she tries to participate in other activities, but her actions are not always productive. She likes to watch cartoons sometimes, and to spend time outside. The girl is not able to concentrate for long. The girl attends specialized boarding school. 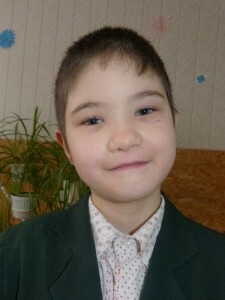 The girl has marked cognitive and emotional disorders, difficulties to adapt to new surroundings. The girl often has a course of medical treatment and periodically she stays in psycho-neurological hospital. Brothers – they need to be adopted together! They are said to be “very good boys”! Hunter likes to eat a lot. He and his brother Forest have a lot of energy. He really likes to do arts and crafts and play games. Most of the time he has a very sweet disposition. He is very keen to interact with adults. That being said if an adult is too rough with him things will start to escalate. If an adult tries to swat at him or restrain him in someway he may attempt to bite. Hunter can speak pretty well but he can’t always communicate what’s going on with his emotions. Hunter responds best to strong male figures. An attentive dad is key to a positive adoption for him. He is in grade 4 here but he can’t read, write, do math, or anything like that right now. He is schooled by himself and school mostly consists of arts and crafts. He is not unintelligent but very delayed. He likes soccer. He would be great in an attentive family where he and his brothers will get much attention and where they will be by far the youngest children. I would adopt him myself if I could be as focused on him and his brothers as he needs a dad and mom to be and if we had the space for them along with our current 3. He enjoys picking fruit and cleaning in the orphanage. 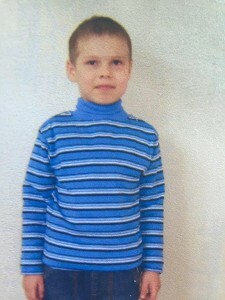 He is never been far from the orphanage and he is interested in coming to America. He has communicated that he really wants to come to America and really wants a papa. Forest likes to eat a lot. He does school the same way his brother Hunter does. He is considered to be in the second grade. Very sweet but also very active. Like his older brother, he needs to need a lot of attention to keep him from unintended harm. He likes to be outside. He has minor institutional self harming tendencies like scratching himself to leave marks. He does not do that a lot though. Forest loves to give hugs and kisses and hold hands with the adults. Stenosis of pulmonary artery; currently he does not require surgery. Tuberculin skin test – positive? Ridge likes to clean. He was mopping the floor with an adult sized mop as I wrote this. He is a very small but sweet boy. He’s a very peaceful and charming child. He is not in school yet but he seems to be the most intellectual of his brothers. He will likely do better in school then his brothers when he gets the chance. He is so cute it is hard to imagine him spending another day without a family. 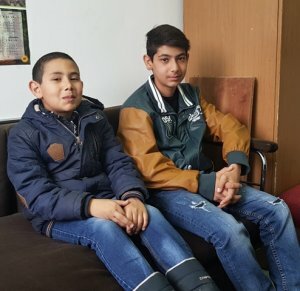 When the boys orphanage shuts down Ridge will be separated from his brothers for several months because he is not old enough to go with his older brothers. I expect this will be a very traumatic time for him, so if a family could come for him as soon as possible that would be best. No family should hesitate to adopt these children as long as they are available to give the time and attention that these children deserve. If that is done the children will flourish. 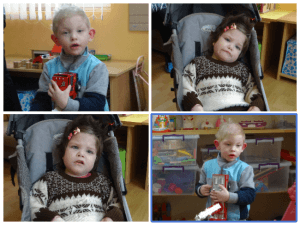 From someone who met Brody in 2011 and Auggie in 2012: Brody and Auggie are sweet little boys who appear to have some sort of genetic disorder that causes developmental delays and self-harming behaviors. They are not aggressive towards others, only towards themselves, and these behaviors can be halted temporarily by picking either boy up and spinning him around. Brody is able to walk, and can drink from a cup without help. He is not quite able to feed himself, but is willing to try. Auggie was in a laying room for over a year, but after only 3 months of physical therapy is now sitting independently and working on learning to stand. Both boys have wonderful, heart stealing smiles. Brody appears to be in his own world much of the time, and loves things that crinkle or light up, and things shaped like sticks, as well as hands, gloves, feet and socks. He shows numerous signs of autism, which may or may not be environmental. Auggie loves things that crinkle or light up, slinkies, music, and tv. He is more interactive than Brody, and appears to lift his arms up to indicate he would like to be held. This is the only form of communication I observed from either of the boys. The boys are currently living in separate orphanages. 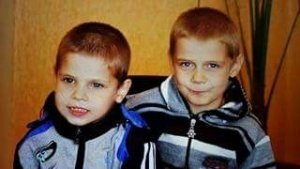 I pray a family will reunite these brothers together in one family, where they can receive all the love and attention they need to meet their full potential! We hope a family will consider adopting them TOGETHER. She is a child Americans usually define as “a happy child”. She is very friendly with others. 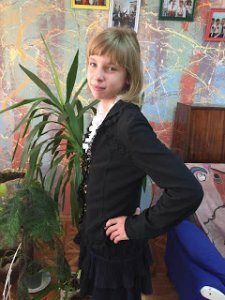 She is very active and likes to participate in orphanage performances, she recites poems. But in general she has some educational issues. They must be adopted together. Delay of psychological and speech development, used to have heart defect (oval window that closed), hemangioma, chest deformation. 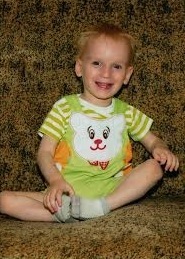 George can fulfill simple instructions, does not walk very well, has been in the orphanage for 1.5 years. Martha does not react to her name, does not know colors, does not play with toys. can feed herself, but is not adequate. She would eat banana with skin and candy with cover. She is not potty trained. Her speech is almost not developed. There is a history of prior neglect; George has better development because he lived in the family less time than Martha, before they were removed. HELP, WE HAVE ALREADY BEEN TRANSFERRED! Samantha (the oldest), on the left: Brown hair and stunning green eyes! 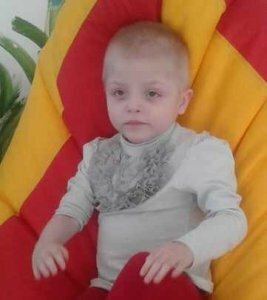 Microcephaly, mental retardation, crossed eyes, physically capable, friendly and affectionate girl, will do well in family environment. High likelihood of fetal alcohol syndrome. 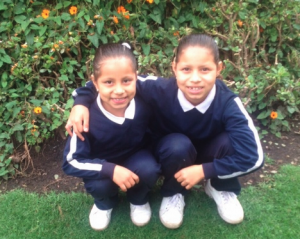 Kristina, on the right: cognitively delayed, physically capable, helpful, friendly, likes to play, good girl. 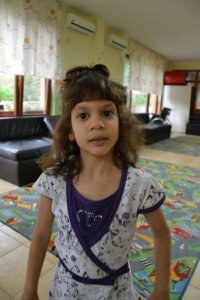 The girls are currently NOT in the same orphanage, but are in the same region and we could love for them to be adopted together. Atrial septal defect (condition after surgery on December 20, 2012), mitral valve insufficiency of 2 stage, tricuspid insufficiency of 1-2 stage, circulatory deficiency of 1 stage, atrial septal defect Q 21.1, fetal alcohol syndrome, delay of physical and mental development – alcoholic embryopathy Q 86.0, severe astigmatism of both eyes H 52.2, primary pulmonary hypertention I 27.0. 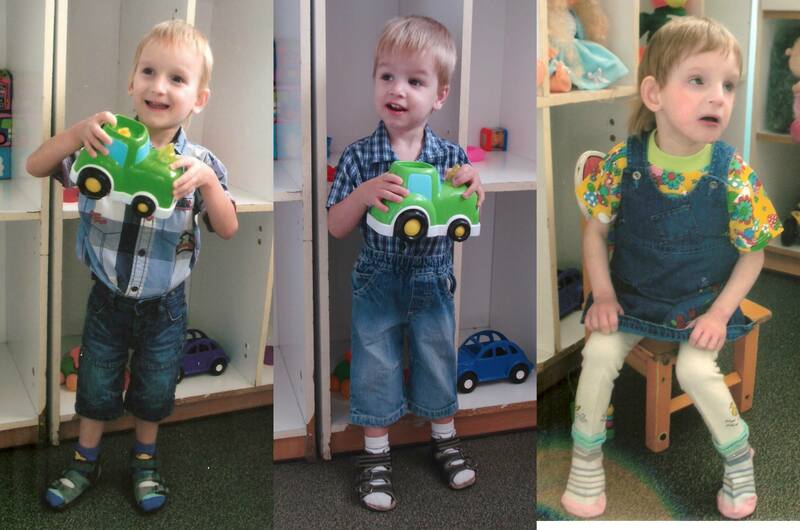 Kai and Konner were raised by their grandparents and brought into care four years ago. Elder brother Kai is enrolled in second grade and known as a playful, clever boy who learns quickly. He is learning basic addition, subtraction, multiplication, division, reading and telling time. He enjoys eating snacks and seafood. 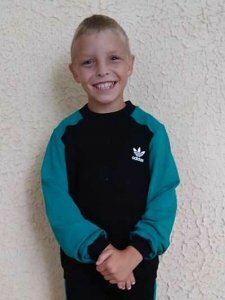 There are no concerns with his motor development and Kai enjoys various sports, skipping rope and running outdoors. His favorite activities include remote controlled toys and video games. 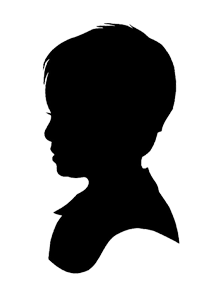 It’s noted that he gets along well with the other children, assists the caregivers, and has good self-care skills. Younger brother Konner is known to be stubborn at times but playful. Konner avoids candy as he is afraid of tooth decay, but enjoys fruits, sausage, corn and seafood. There are no concerns with Konner’s motor development. He can help with chores and has good self-care skills. 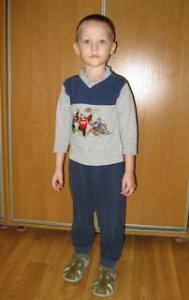 He is enrolled in preschool and learning basic math problems, colors, shapes, reading cartoon books and enjoys completing his homework. 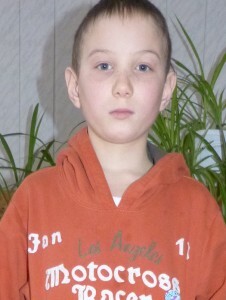 Similar to his brother, Konner likes to be outside playing in the park, running, skipping rope and playing video games. The boys take daily medications & have no other health concerns. Eligible families may qualify for an agency grant, in addition to a $15,000 Child-Specific Grant (exp. 5/15/2019) from the agency. $10.80 has been donated towards the cost of my adoption! Spina bifida at lumbar part with hydrocephaly. Cognitive hip subluxation one sided. She has two sisters, born 2014 & 2015 both are healthy. These 3 girls MUST be adopted together! $166.50 has been donated towards the cost of my adoption! These siblings must be adopted together! 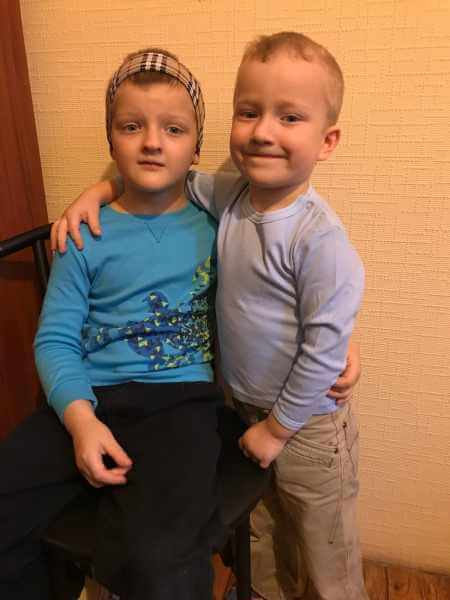 From a family who met them Feb 2019: They are very sweet and seemed happy. They were kind to each other, happily posed for photos, and answered questions. They seem very healthy and I did not notice any obvious developmental delays. $225.00 has been donated towards the cost of my adoption! Total of 6 siblings: the other 4 siblings are 14 (a boy), 12 (a girl), 10 (a girl) and 8 (a boy). $180.00 has been donated towards the cost of my adoption! These 3 siblings are only adoptable together! 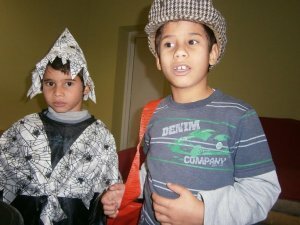 They are in the same region, but in 2 different cities and 3 different orphanages. A very good boy, friendly and smart! $1,095.75 has been donated towards the cost of my adoption! 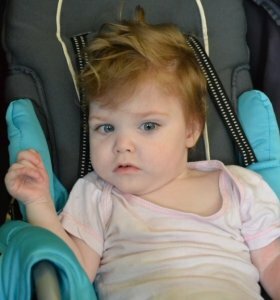 Asher has pulmonary valve stenosis. He is monitored by a cardiologist. He attends school, where his favorite class is reading. He enjoys playing outside with his friends. He is described as being very social. He enjoys sports and dreams of being a soccer player. Emerik does not have any special needs. He enjoys sports, music, watching TV and playing on the computer. He works hard in school, but is behind academically. His social worker attributes this to a lack of education in his early life with his birth family. He is described as shyer than his brother and as a result, it takes him longer to make friends. When asked what he wished for, he said a bike and that he’d like it to be red or black. Aiden has blue eyes and dark brown hair. He graduated 6th grade this year, learns after a regular school program. His results at school are average, he has some difficulties, but he can learn the required. 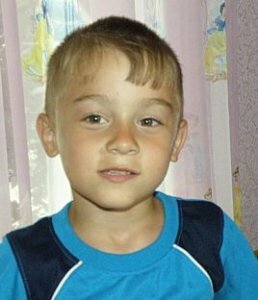 The boy is interested in sports – he likes to play football and rugby, but sometimes he can be too lazy to attend the trainings. He also likes to work with technique, to repair something and to take pictures. The boy is calm and a little bit shy. He has good self-care skills, has no behavior problems or bad habits. He regularly attends speech therapist and recreative gymnastics in the out-of-family care institution. Diagnoses: specific speech and language development disorders. Unspecified learning disorders. Food allergy. Allergic dermatitis. OU astigmatismus mixtus. Deformation of chest. Ainsley has brown eyes and dark brown hair. She graduated 5th grade this year, learns after a regular school program. 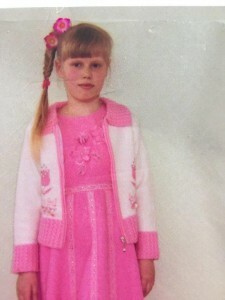 Her results at school are very good, she is hard-working and one of the best scholars in the class. She sings in an ensemble, dances modern dances, draws, plays rugby and football. She also likes to cook, to work in the garden and to ride a bike. The girl is calm and a little bit shy, but strong-willed. 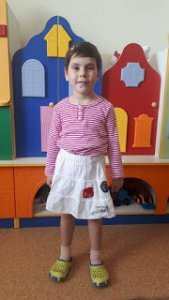 The girl`s physical development has significantly improved because of recreative gymnastics, dancing and sports, she has no X-shaped legs anymore. She has good self-care skills, has no behavior problems or bad habits. She regularly attends speech therapist and recreative gymnastics in the out-of-family care institution. Diagnoses: allergic rhinopathy. Deformation of nasal septum. OD ptosis (operation in July 2014). Exotropia secundaris. Clumsy child syndrome (has improved). Dyslalia. Posture disorders (has improved). X-shaped legs (has improved). Umbilical hernia. Allergic dermatitis. Aimee has greyish-blue eyes and brown hair. She graduated the 1st grade this year, a regular school program. She dances both modern and folk dances, sings in an ensemble and choir, draws, plays rugby and football. She also takes a part in cooking, rides a bike and does manual training. The girl likes animals very much. She has good self-care skills, has no behavior problems or bad habits. She regularly attends speech therapist and recreative gymnastics in the out-of-family care institution. 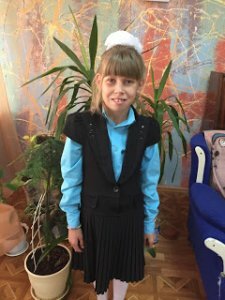 Her physical development has significantly improved because of recreative gymnastics, dancing and sports, she has no X-shaped legs anymore. The girl is calm and a little bit shy. Diagnoses: unspecified speech and language development disorders. Other emotional disorders. Dyslalia. Asymmetrical posture. X-shaped legs. Umbilical hernia. Naevus pigmentorum thoracis. OU hypermetropia. 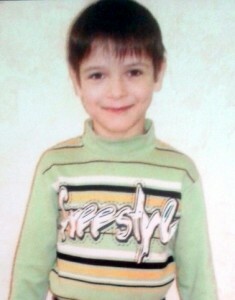 From a family that has met them: Aiden is an awesome boy who is from my daughter’s orphanage. I spent quite a bit of time with him. He is quiet at first, but opens up over time. He likes to laugh, play soccer, and build things. He wants a dad to do things with him. He was polite and thankful while I was with him. It’s hard to watch his friends leave with families, and know that time is running out for him and his younger sisters. $9.00 has been donated towards the cost of my adoption! Emma is going to be transferred into the school orphanage for mentally delayed children, and it is not the best place to anybody. 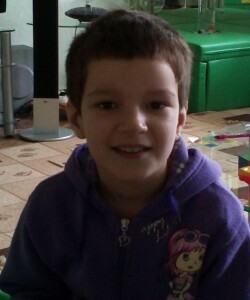 The orphanage may keep her only till summer 2016, and then she will be transferred! She is much educationally delayed. She is pretty friendly and calm. But her memory is not good, and it is hard for her to remember any rhymes or poems. This girl needs a patient family who will love her and care of her. She deserves it! $1,183.90 has been donated towards the cost of my adoption! They must be adopted together! 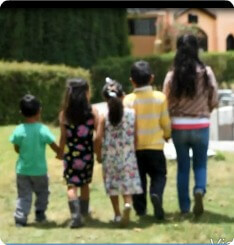 A group of five siblings from Latin America between the ages of eleven and five years old have a close relationship to one another. They all attend school and it is noted that they are well integrated and adapted in their classrooms and have good relationships with their teachers and peers. A recent update indicates that they all love to go to the beach, are playful and outgoing. The eldest sister, D, likes school and enjoys painting and drawing. 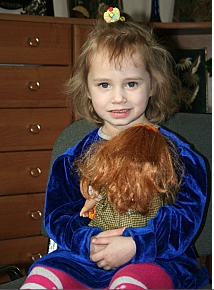 She has good interactions with others and known as an empathetic, resilient and independent young girl. 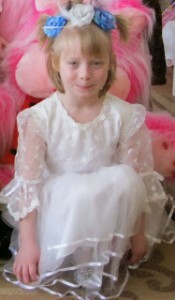 She enjoys playing in groups and shows leadership skills in playful activities. Brother O is known as a well-adjusted nine year old boy with an extroverted personality. He does well academically and is especially good at math. O enjoys playing soccer and plays three times a week. 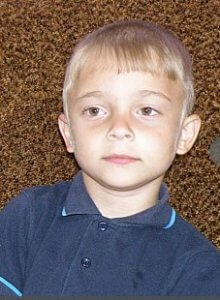 He is described as having highly developed social skills and no concerns with his development. Sister MB is eight years old and described as well adjusted. Despite being rather shy, MB likes to play with peers and participate in group activities. She is very close to her siblings, especially her younger sister FR. MB likes to play together with FB and the sisters frequently check on each other. She has strabismus but is otherwise healthy. It is noted that she does well academically. Seven year old FB is artistic and likes to play sports. She seeks affection appropriately from others. She has good skills in matching and has a good attention span. FB has no known medical needs. Baby brother L is five years old and likes to play games with his peers. He has good independent living skills such as feeding himself and getting dressed. He has a speech & language delay. $27.68 has been donated towards the cost of our adoption! Diagnosis: Phyllis- severe mental impairments; Atypical Autism; Severe impairment in behavior. Stanley- Congenital aortic wall stenosis, Cerebral Palsy; Atypical Autism; lower spastic paresis; severe mental delay; impairment in behavior. Phyllis and Stanley live in Eastern Europe together. They are close in age and both suffer from similar disabilities. Phyllis and Stanley both have Atypical Autistic with severe mental and physical delays. 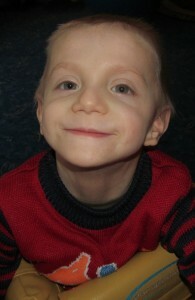 Stanley also is diagnosed with Cerebral Palsy. They are completely dependent on their helpers. Stanley tends to be aggressive and does not interact with the other children. Phyllis is calm but very independent socially. She eats by herself and doesn’t interact with the other children. Both of the children cannot control their pelvic reservoirs. This grant is offered by Reece’s Rainbow, for children in this specific country. Grant funds are dependent on available funding. 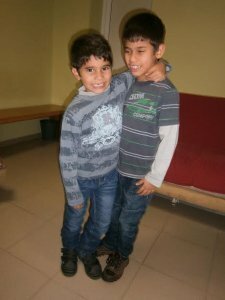 Seth and Victor are brothers currently residing together in a foster home. 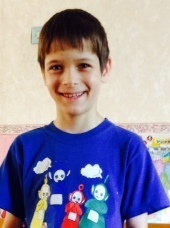 Seth has a moderate mental and physical delay but is otherwise clinically healthy. Victor has hypothyroidism but is otherwise healthy and not delayed. Hailey & Hugh need to be together!! 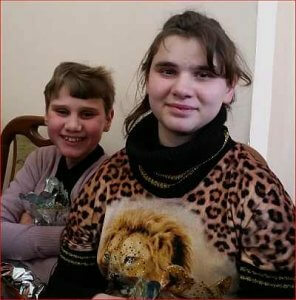 These siblings are unfortunately living apart, as the children are housed by age and gender at the facilities. They miss each other a lot and they’re both always happy to see each other when they can get together. They want to be together long term in the same adopted family. 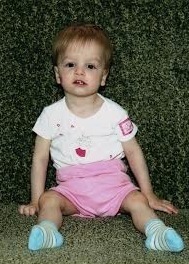 Hailey is described by her caregivers as mild, positive, vivacious and well-behaved. She’s small for her age, wears glasses and has a small vocabulary. She’s easily distracted but has made great improvement in comprehension. 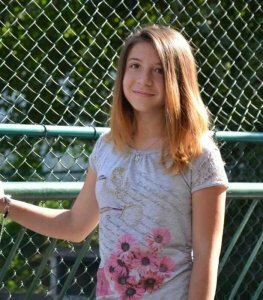 Hailey’s a warm-hearted girl who finds pleasure in helping others. 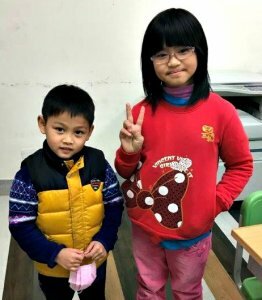 She remembers her birth family but is excited to start a new life with an adoptive family—as long as she isn’t separated from her brother. Hugh is filled with curiosity about the world, often asking “why?” He speaks well and is reported to cooperative and able to follow rules. Like his big sister, he’s easily distracted but he works hard on his schoolwork. He attends primary school and mixes well with the other kids his age. His caregivers describe him as a good boy, energetic and usually happy. He’s been very clear he wants to be adopted with his sister. There’s a $4000 grant for families who qualify to help with adoption expenses, available from the agency. Video is available. Vanessa will be able to be adopted past age 16 as long as she is adopted with her brother, Grady. Grady is an adorable little boy who is very social and loves to communicate and interact with others. He has lived with a foster family and his sister since 2008. 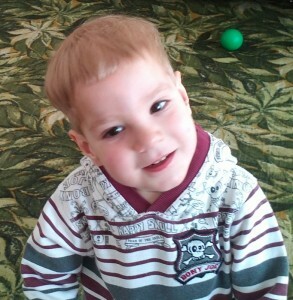 Grady is on the shorter side but with well-developed motor skills and enjoys activity and dynamic games. He shows some cases of chaotic movements of the body. He does well with drawing picture but his attention can be unstable and makes learning content in school difficult. He is very competitive in games and communicates well but with slight speech impairment. He understands when he messes up and feels guilty. He isn’t very independent but doesn’t ask for help if he doesn’t need it. Grady is excited to find a family and wants to be adopted! Vanessa is a beautiful young girl who is so sweet and easy to interact with. She has lived with a foster family and her brother since 2008. Vanessa is very social and initiates conversation with people she knows but not as well with people she just met. She has a well-developed short and long term memory and does well at summarization with limited information. She has good fine motor skills and is healthy and athletic. She is competitive but not aggressive. She is kind-hearted and can’t wait to be adopted! The dynamic duo – here come Rowan and Reisen. Their smile can light up a room and they are certain to win you over with their little boy charm. Both love cars and chocolate. 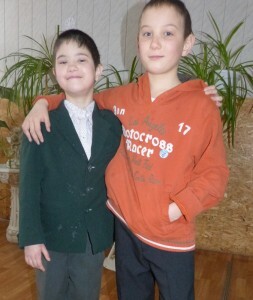 Rowan has been hosted before last summer; Reisen just recently arrived at the orphanage. Both boys have some developmental delays, but are teacher’s favorites. Rowan has grown leaps and bounds since he was last hosted in the US, in every way possible. They appeared to be very hyper, having serious behavioral issues and mental delays. They changed families during hosting program because first hosting family couldn’t handle them. 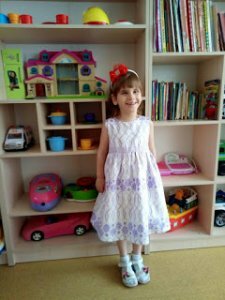 Their sister can be adopted separately from them but adoptive family needs to have approval for three children in order for us to be able to separate them. She lives in a different orphanage from them. 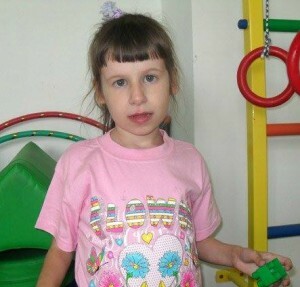 Anna has cerebral palsy and, as a result, is severely delayed. She and her brother were born very early, each weighing around 2 pounds. Anna is unable to stand. While Anna does vocalize, she is unable to articulate words. She has severe cognitive delays, and it appears unlikely that she will be able to make these up. Anna smiles when she is touched and is willing to play games, but she tires quickly and requires constant stimulation to stay engaged. She is unable to feed herself and is fed through a bottle. Anna’s twin brother, Alex, has bronchopulmunal dysplasia, cerebral leukomalacia (brain injury from birth), and an intestinal hernia which will likely require surgery. 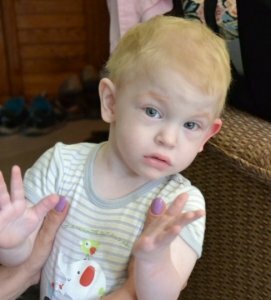 He is described as “lackadaisical” and “good-natured.” Alexander is able to walk 5-6 steps before falling over, and has generally uncoordinated fine motor skills. He does vocalize, but his speech patterns are underdeveloped. The assessment from Bulgaria states that with the appropriate interventions, Alexander could make up for some of his delays, but that his capabilities will always be limited. Alex and Anna are twins who are living together in foster care. Anna has spastic CP that impacts her entire body. When lying on her back, she can raise her right hand to reach for a toy. With some assistance, she can roll onto her stomach and once there, can hold her head up and track objects. She turns her head to sounds. She vocalizes and smiles when she is happy. Sometimes, she reacts to her name by turning her head when her name is called. She will respond to an adult talking to her by making sounds back. She raises her arm when someone waves hello or goodbye to her. She can follow some very simple commands that she repeatedly hears. Alex also has a diagnosis of CP. Alec is able to walk, though his report indicates that he has a flat food and a possibly shortened thigh length on one leg. 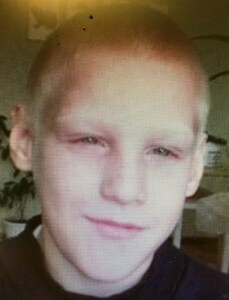 He attends an early intervention program, where he is receiving therapy and basic preschool services. He can only say a few words, but is learning to use PECS (picture exchange communication) and is up to PECS level 4, which is the ability to use picture cards to build sentences. He can sort by shape and color, stack blocks, and is learning beginning handwriting skills (tracing, drawing lines, etc). He plays with toys appropriately. He is showing imaginative skills (tucks a baby doll into bed, feeds stuffed animals, etc). He is classified as having a mild intellectual delay based on preschool testing. Photos and videos are available through the agency. $145.50 has been donated towards the cost of my adoption!